Are you looking for best agribusiness in India? You can start easily a duck farming business India Based. Like other Asian countries, India is also a riverine country. The climate and weather of this country are suitable for duck farming. 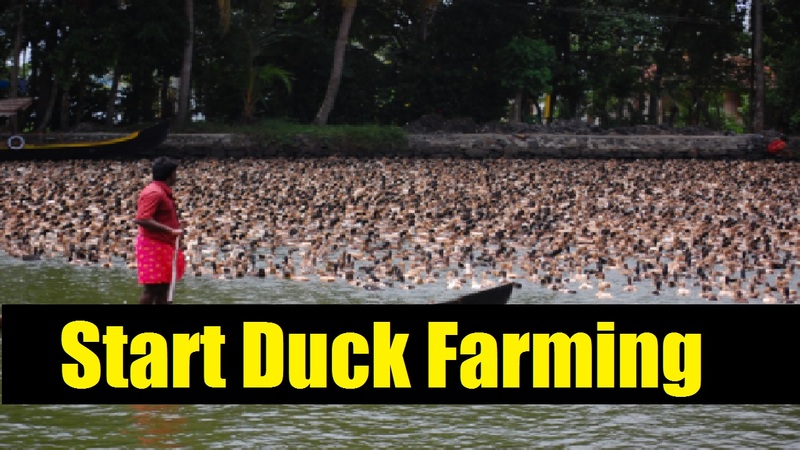 Duck farming India based is low-cost business and hassle-free. The Duck’s meat is delicious and eggs are large in size. In addition, families demand for protein will also be fulfilled and opportunities for additional income you can create. Indian housewives and boys and girls of the house can set up duck farms in small areas with little capital. In many states of India, duck farming has been established commercially. Apart from the native varieties of the family, it is possible to adopt improved varieties of poultry. This experience later became useful in establishing commercial farms. Indeed, duck farming is one of the best business with a small investment in India. It is possible to create additional income opportunities in the family by selling duck eggs and meat. Duck can prevent immune system and adapt to an adverse environment. 4 Fish and duck can be cultivated simultaneously. The duck’s waste is good organic fertilizer. Duck Farming India Based, the farmers in the village, farms duck in a traditional way. Here we have the best ways for duck farming. The open method is the easiest way for duck farming. Duck is farmed in this method in the villages in India. In this method, ducks are released in the morning and confined to a room at night. Ducks are not provided seldom food in this method because they eat natural food like small fish, fritter, alga, grain, and insect from the environment. Ducks lay eggs in the morning. That’s why ducks are confined to room up to 9 am. There are some advantages and disadvantages of this method as follows. Needs less cost for food. Adaptation to the environment is good. Physical growth and production are good. Needs more wasteland and water area. Ducks can be killed by the wild beast. Ducks can be harmed by bad weather. Cannot be taken care of always. In this method, ducks are always confined in a house. This method is useful for kid ducks. The close method can be divided again into two parts. Floor method: In this method ducks are husbandries in the floor. A straw liter is used as the bed in the floor. Care should be taken as the bed is not wasted by food and water. Cage method: Cage method ducks are husbandries in the cage. 0.07m2 space is required for every duck. Ducks can be feed uniformly. Wild beast cannot do any harm to ducks. Foods need to be supplied more. The farm building is expensive. There might be the shortage of open light and air. Intensive care should be taken. Ducks don’t get chance to swim. In this method, ducks are confined in a room at night and released in the morning in a reservoir near a farm. 0.93m2 space is required for every duck. Duck can swim and take food from here. Ducks can be fed uniformly. More intensive care should be taken. Ducks cannot be fed uniformly. In this method, a floating room is made for the duck. This method is useful for increasing and old ducks. Floating house is made near a big pond, tank or river depending upon the number of ducks. Though building cost is more but food cost is less in this method. The drum is used for building floating room. Ducks wander around during the day and take shelter at room at night. Usually low land and flooding area are suitable for this method. Ducks should be kept in a neat and clean environment. Ducks should be provided regular medicine and vaccines to protect from a puck. For duck plug, rhinitis, hepatitis, cholera and vitamin deficiency necessary medicine and vaccines should be provided. Ducks should be provided clean and fresh food. New poultry should be kept separate for 3/4 days. The sick should be kept separate from the good/healthy duck while treating the duck. You can use Lysol to wash your duck farm and utensils and occasionally should be dried up in the sun.